A good husband knows how important it is to make his wife feel special on her birthday. 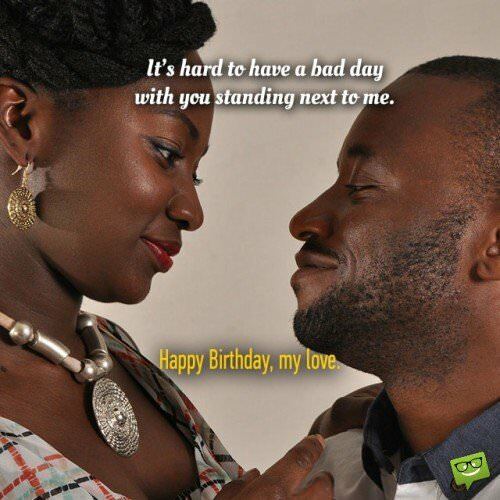 Birthdays are opportunities to put your love and appreciation on display for the one you love. Hopefully, you have saved the date so that you will never forget this special day for your wife. However, it’s not enough to just remember. Simple gestures and thoughtful gifts are sure to put a smile on her face. A priceless gift to your wife is a sincere, kind expression of your unwavering love and support for her. It’s easy to buy gifts but you will likely want to find the right words to say to truly express your warm wishes for your wife. Having you as a wife is more like having an angel guiding my way through life. I am truly blessed. Have a wonderful birthday. Your love makes the sun shine brighter and more beautiful. It’s hard to have a bad day with you standing next to me. Happy Birthday, my love. Happy Birthday, to the greatest wife in the world! No one encourages and inspires the way that you do. You have the power to bring out the best in me. Thank you for being an amazing wife and a great person. What makes me a great husband is having a great wife like you. I am nothing without you. Happy Birthday, with all my love. A thousand miles could separate me from a love so strong. Happy Birthday to my gorgeous wife! Dear Wife. Thank you for always remaining faithful and unwavering in your love and support no matter how many mistakes I’ve made. Wishing you a blessed birthday. To the woman of my life, I hope you know how special you are to me. Happy Birthday! Don’t worry about age, for it is just a number. In my eyes and in my heart, you are forever young. Our love keeps us as youthful as ever. Happy Birthday. I often wonder what I did to deserve a beauty like you. It makes me so happy to know that you love me the way that I love you. Wishing you a special birthday. To my wife, I am wishing you a lovely day on your birthday. May you see many, many more birthdays to come. 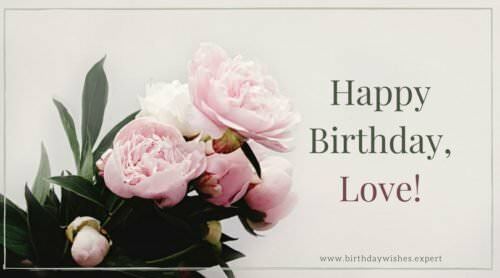 Dear Wife, my wish for you on your birthday is that we stay forever close and never let go. I hope you have a pleasant day and may all your dreams come true. Losing you is my biggest fear. You are my whole life. Happy Birthday to my lovely wife. When you close your eyes and make a wish, wish for a long life full of love and happiness. You certainly deserve it. Happy Birthday, from your Husband. Dreams do come true for I have found you. Fairytales come to life for I have you as my wife. Have a magical birthday. You exemplify all of the wonderful qualities in a wife and in a woman. I am so lucky to have you. I am glad to celebrate your birthday with you. Warm birthday wishes to you! Honey, I look forward to your birthday every year. I appreciate every opportunity to shower you with attention and thoughtful gifts. Birthdays come once a year. You deserve to feel like a queen every day. Happy Birthday! Beauty so radiant it rivals the sunrise. That’s how I feel about you. Shine bright on your special day. Have a wonderful birthday. You are naturally beautiful and effortless amazing in every way. 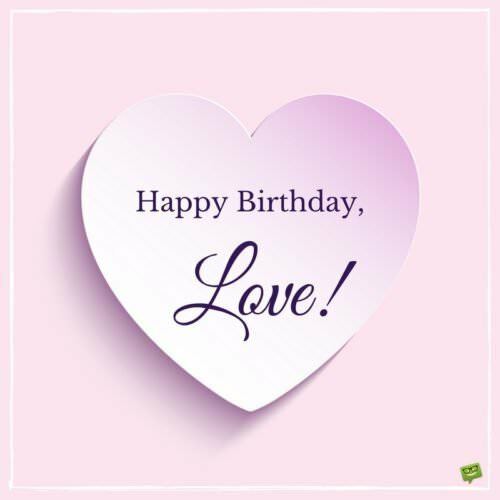 Wishing you a love birthday! Let’s make this a birthday to remember. It’s all about you today and I want to make you feel like the happiest woman alive. To my treasured wife, your gift to me every day is simply being yourself and loving me unconditionally. How can I ever repay you? I offer my unconditional love to you today and forever. Happy Birthday. Loving you has made me so humbled and gracious. Thank you for spending your life with me. Happy Birthday, from your life partner. Happy Birthday to my wife, best friend, partner, lover, mother of my children and the keeper of my heart. Love is freely given. My love comes with no conditions. I love you the same yesterday, today, and forever more. Happy Birthday, Dear! Tangible gifts rust and rot. The greatest gifts last forever and can’t be stolen. My gift to you on your birthday is all my love, trust, and respect. Loving you comes naturally. You’re always bringing out the best in me. Happy Birthday to you my beautiful wife. My heart was made for loving you. On you birthday, I hope your every wish comes true. Love, your Husband. Congratulations on another year. May the next year bring even more success and happiness. Happy Birthday to my wife. 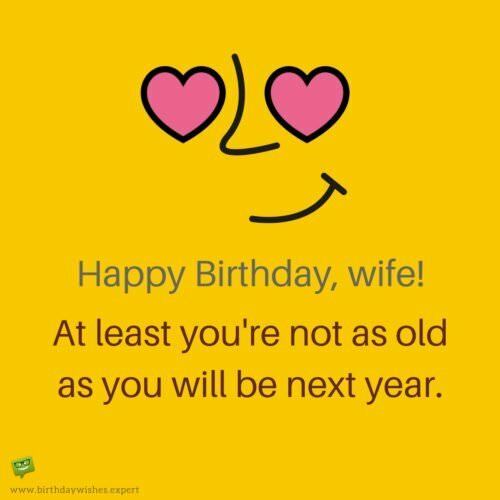 Have a great birthday, from your Husband. I promise to make this a day to remember. Dear Wife, I encourage you to fight for your dreams and reach for the sky. I promise to be there, always by your side. As we grow old together, we will change. But one thing will stay the same and that is our love, the glue that holds us together. As your husband, I have always felt a need to protect you. But I have learned that you are a strong woman and that makes you beautiful. I love you with all my heart. Happy Birthday! I will never forget the day we first met. Because the spark between us has never died. Have a wonderful birthday. 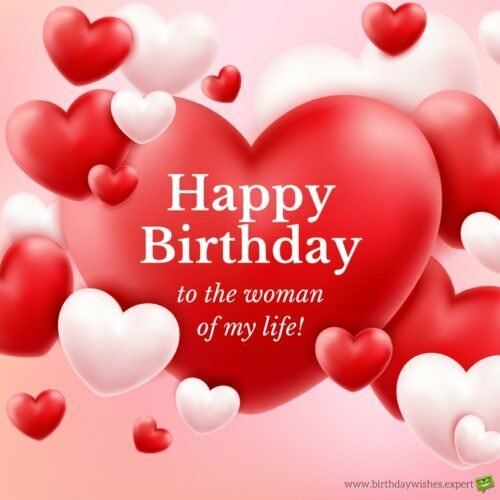 To my wife on your birthday, may your love continue to grow sweeter by the day and stronger by the year. Birthdays come and go. My goal is to make that special feeling lasts forever. Hoping you have a wonderful birthday. I can give you a million birthday wishes but what I really want to give you is a million birthday kisses. My goal is to keep a smile on your face. And when it starts to fade away, I’ll do whatever it takes to brighten your day. Happy Birthday. It’s hard to have a bad day with you standing next to me. Happy birthday, my love.